Typically, when a highway accident involves a passenger auto and a semi-trailer truck, the auto driver paints a little guy-big guy picture, pointing to the tremendous difference in weight and height between the “meek little car” and the “massive” truck. It is as if the trucker is at fault, merely because of the size of his or her vehicle. The trucker might say, “If my truck was so huge, why didn’t the driver of the car see it?” Indeed, the truck driver is not always to blame. Quite often, the driver of the auto is at least partially at fault as well. Accordingly, it isn’t inevitable that a court will determine that the truck driver (or trucking company) is liable to pay all the damages resulting from the accident. Under Wisconsin’s modified comparative negligence doctrine, any fault of the auto driver may also be considered in determining the measure of the damages, if any, to be paid. Under Wisconsin law, a plaintiff’s money damages are reduced by his or her “comparative” level of fault, measured as a percentage. For example, if a jury determined that a plaintiff had sustained damages in an amount of $100,000, but also determined that the plaintiff was 25 percent at fault in the accident, his or her recovery would be $75,000 ($100,000 reduced by 25 percent). There is a caveat to the plaintiff’s right to recovery, however. If the jury were to determine that the plaintiff was 51 percent (or more) at fault, he or she would recover nothing. Was the driver distracted? Was he or she texting, talking on a cell phone, listening to music with earbuds or headphones? Was he or she eating? Had the auto driver consumed alcoholic beverages prior to the accident? Did the driver fail to keep a proper lookout or make an inappropriate lane change? Was the driver’s vision hindered by ice or snow? Any of these factors could mean the auto driver was partially to blame. A trucker isn’t negligent just because he or she is involved in an accident. The size of the vehicle alone is not a factor to be considered in determining liability. The truck driver’s negligence – his or her failure to act as a reasonable driver under the circumstances – must be established by the evidence. Transportation litigation is quite technical, involving complex factual and legal issues. Truckers have specific and technical defenses that must be carefully articulated and presented in a timely manner. It is important to retain experienced legal counsel who are comfortable and confident in taking your case as far as necessary. 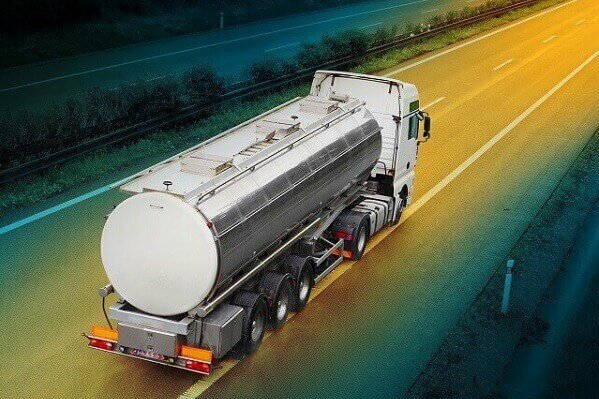 The Kerkman Wagner & Dunn, a Milwaukee business litigation firm with more than 50 years of combined legal experience representing truckers, trucking companies and other business owners in Wisconsin, is ready to assist you. Our firm has big firm talent and provides small firm attention. Call us at 414-278-7000 or complete our online contact form.